When I took my mother to the shop of the van Gogh Museum in Amsterdam she thought she was in a department store. 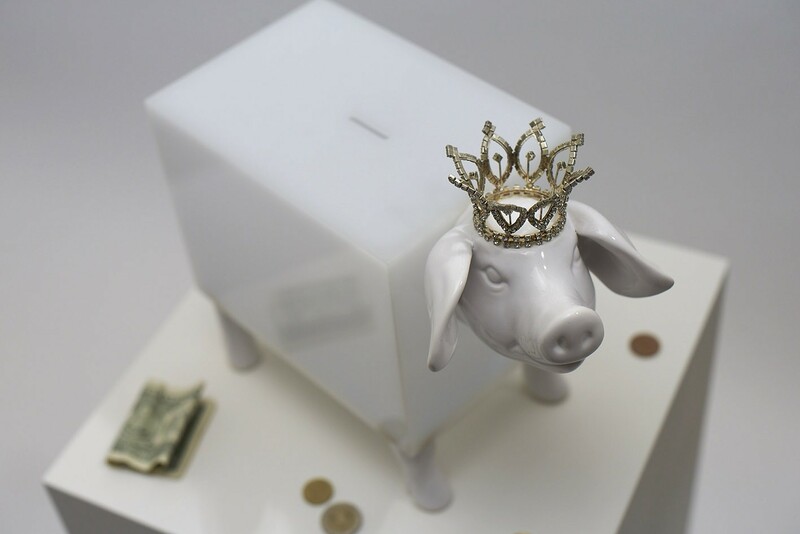 Her reaction inspired me to create this piggy bank, at the same time a diorama. 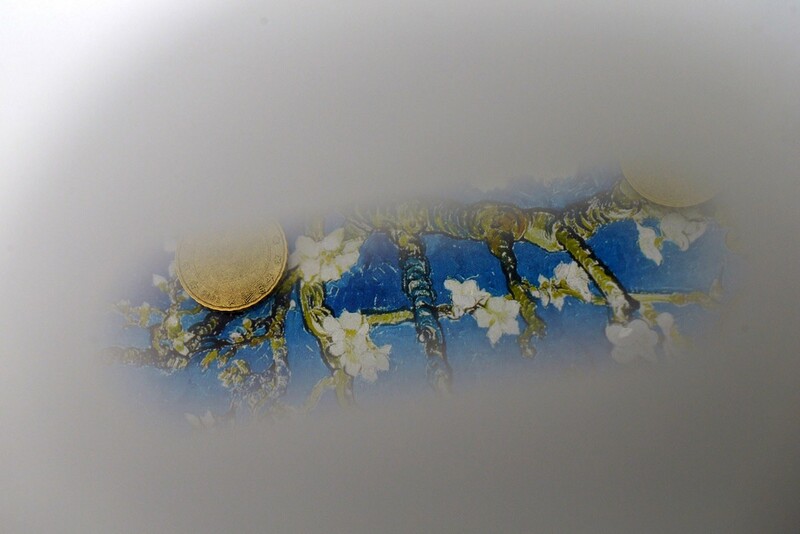 Looking through the slot we can see the most popular painting by Van Gogh: The Almond Blossom. The more money drops into the slot, the less visible Van Gogh becomes.